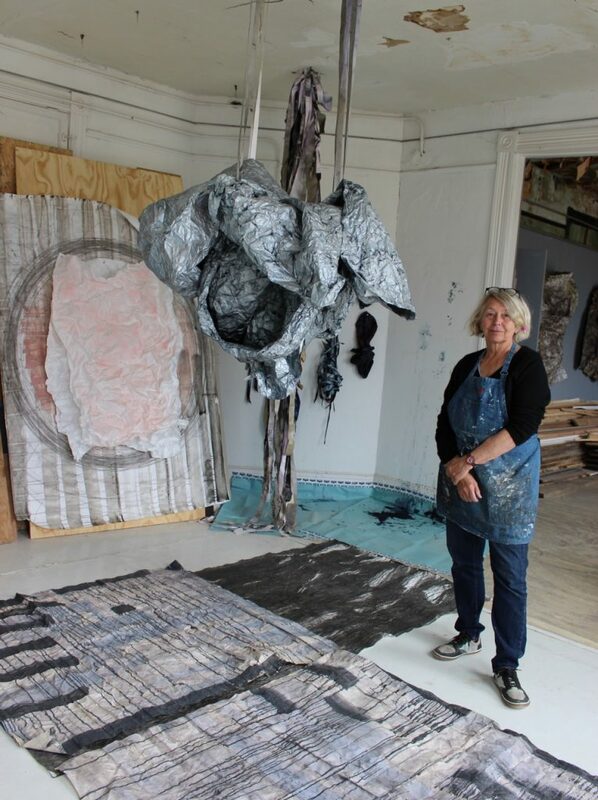 Paducah Arts Alliance (PAA) is pleased to announce that California artist Lea Feinstein is the current participant in the Paducah Artist-in Residence program. Feinstein began her month-long residency in Paducah on May 1, after a 4-day trek from the West coast, to commence her stay in this UNESCO Creative City. A prolific artist, Feinstein is currently an independent critic for painting students at the Academy of Art University in San Francisco. She is also a contributing author for Art ltd., the premiere art magazine covering the contemporary art scene in Los Angeles and Daily Serving’s Art Practical, an international forum for visual arts. She has worked as a studio art professor at the Rhode Island School of Design in Providence, Maryland Institute College of Art in Baltimore, and both Trinity College and Georgetown University in Washington, DC. She currently resides in Stanford, California, with her husband Dr. Carl Feinstein, Professor Emeritus at Stanford and retired child psychoanalyst whose specialty is autism and Asperger syndrome. The inspiration for Feinstein’s Paducah efforts is largely influenced by the work of famous music composer and abstract artist John Cage. His exhibit “No Dawdling” is the theme and mantra Feinstein has adhered to during her Paducah residency. Due to the nature of her creative process, Feinstein required a large space that was not pristine to allow the natural flow of pigments and hanging space for her art. Upon her arrival and with the help of PAA member Paul Lorenz, Feinstein transformed an apartment slated for renovation above MAKE, a gallery/workshop/art supply setting located at 628 Broadway, into a veritable artist’s haven before delving into her creative processes and has already completed a large body of work for her upcoming exhibition. 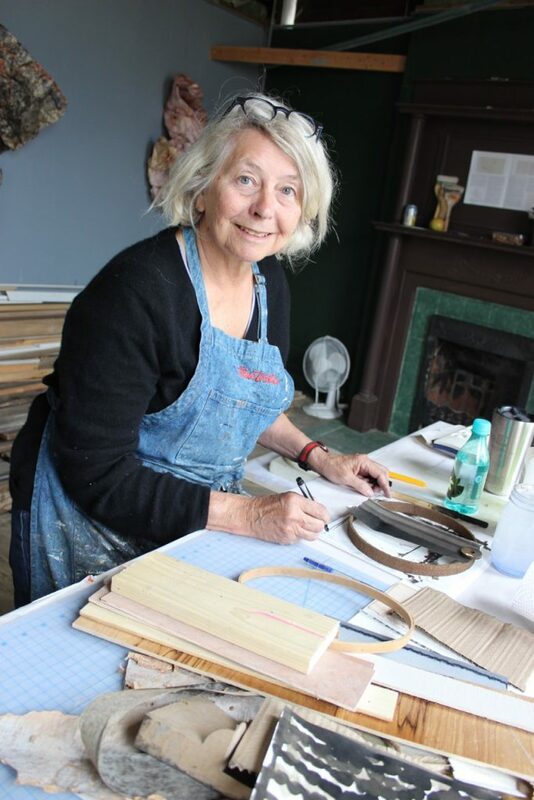 Feinstein will end her residency on May 31 but will return to Paducah for her solo exhibit to be held at Ruth Baggett Gallery, 1025 Jefferson. The Opening Reception will be held on June 18, 2016 from 5-8 pm. The exhibit will be on display through July 29. To arrange an interview, contact Rosemarie Steele or email the artist directly or call 650.281.5669.